On Earth, dust can be pretty mundane. But in space, dust can be beautiful, especially when the dust reflects starlight – and even more so when we have the chance to see the reflections in different wavelengths. 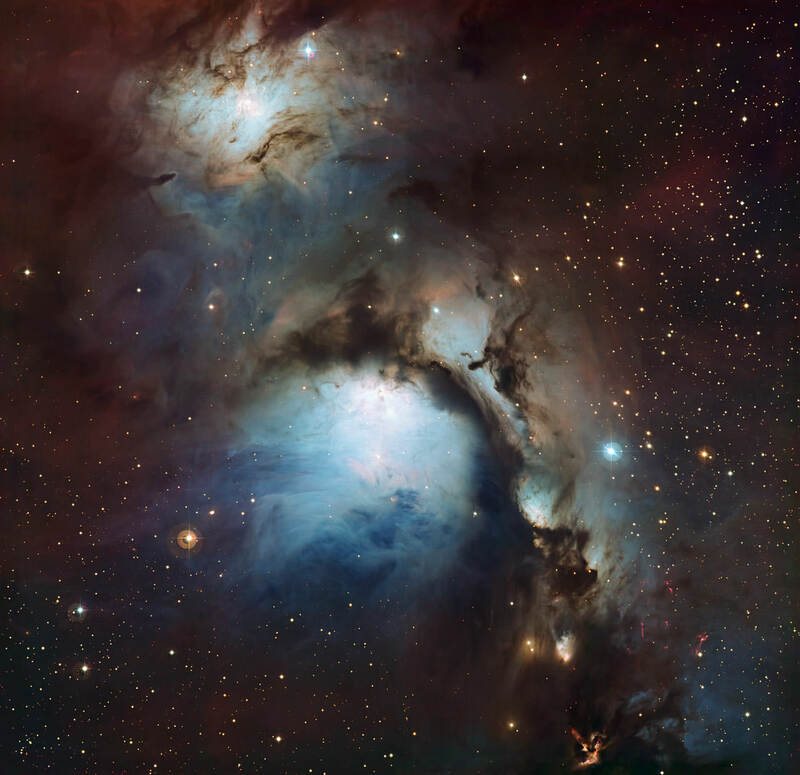 Here in NGC 2068, also called Messier 78, this dazzling submillimetre-wavelength view from the Atacama Pathfinder Experiment (APEX) telescope Dust shows the glow of interstellar dust grains, pointing the way to where new stars are being formed. This reflection nebula lies just to the north of Orion’s Belt. When seen in visible light glimmers in a pale blue glow of starlight, but much of the light is blocked by the dust. In this image, the APEX observations are overlaid on the visible-light image in orange. APEX’s view reveals the gentle glow of dense cold clumps of dust, some of which are even colder than -250 C.
Compare the new image with this earlier, visible light image of M78.